A fun, but forgettable, comedy light on structure and meaning. 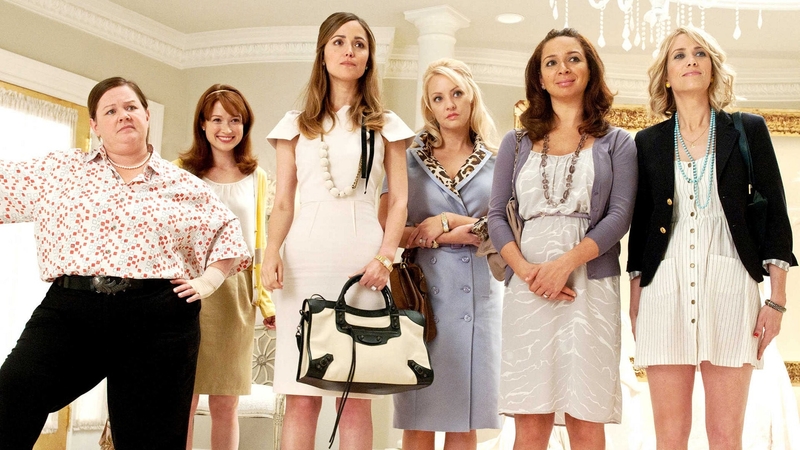 A goodhearted comedy that found massive success this past summer, Bridesmaids breaks the rule that behind great word-of-mouth sits a solidly structured film. Main Character Annie (Kristen Wiig) develops the way one would expect, yet without a strongly persistent Influence Character, seems to take a long and arduous time to get there. Affable State Trooper Nathan Rhodes (Chris O’Dowd) sits in the prime spot for that key structural role, but doesn’t challenge Annie in any meaningful way. His sole responsibility seems to be to comment occasionally on her life while offering up an easy alternative to douchey boyfriend Ted (Jon Hamm). Their budding romance should be a place for meaningful growth. Instead, it becomes an area of painful plodding, a collection of scenes without any connection to the larger argument. As a consequence, Annie’s final resolve comes at the hand of a convenient triple beat of well-meaning individuals. Starting with a surprising visit from her best friend’s future sister-in-law Megan (Melissa McCarthy), the best friend herself Lillian (Maya Rudolph) and finally ending with nemesis Helen (Rose Byrne), this wave of influence comes off forced and mechanical. If Rhodes had a stronger point-of-view, some attitude that differentiated him from Annie, these moments would not have been needed and the romance between the two would have seen less predictable . A comedy as good as this one would have longer legs were it supported with a better designed undercarriage. A one-off that fades as quickly as it comes.